This is the original film remastered in High Definition and is NOT the 2.0 version that was released several years ago; but more importantly this steelbook version is limited to 6,000 copies and is exclusive to the UK. This release will feature the ‘original’ English Audio, yet again remastered in 5.1 surround, as well as the Japanese with English Subtitles. The first instalment into the Ghost in the Shell: Arise franchise will see both Borders 1 and 2 (aka Episode 1 and 2) bundled into two disc set; whereby each disc features a single episode. This release will feature both English (dubbed by FUNimation) and Japanese with English Subtitles and come complete with a variety of undisclosed bonus features. Street Fighter: Assassin’s Fist is the title that originally debuted onto Machina (via YouTube) as episode (part) instalments. The version that Manga UK are releasing is the ‘feature-length’ film version; whereby the footage has been complied and edited together into a single film that will offer a more authentic ‘cinematic’ experience to the viewer. Additional bonus features were not revealed (due to various reasons) but the Steelbook version will come with 4 exclusive artcards. The first half of Attack on Titan will contain the first 13 episodes spread over two discs in feature English (dubbed by FUNimation) and Japanese with English Subtitles. The ‘Collectors Edition’ bundle, which is only available on Blu-ray, will also contain 24 page booklet, a bonus DVD filled with over an hours worth of additional bonus content and a carded box so that both Part 1 and Part 2 can fit inside it. It wasn’t mentioned whether or not the artbox would be a chipboard (like FUNimation and Madman’s releases) or thin card like the one used in Fullmetal Alchemist: Brotherhood Collection sets. The second half of Attack on Titan will contain the remaining episodes yet again spread over two discs and the episodes will be available in English (dubbed by FUNimation) and Japanese with English Subtitles. It was also mentioned that there are no plans for a ‘complete series’ box set to be released (due to licensing restrictions). Will appear ‘exclusively’ on Netflix from the 1st August 2014; however Manga Entertainment UK have secured the home video (DVD & Blu-ray) rights to the title and it will be released early next year within the UK. The latest feature-length-film of Dragon Ball Z will be heading to the UK on both DVD and Blu-ray with its English Dub (dubbed by FUNimation) and original Japanese with English Subtitles. The film will also see a ‘short’ cinema release as well as make its debut at Scotlands Loves Animation (aka Scotland Loves Anime) later this year. As it stands Manga UK plan to release the film into ‘several’ cinemas across the UK and then release the Blu-ray and DVD on the 10th November 2014. 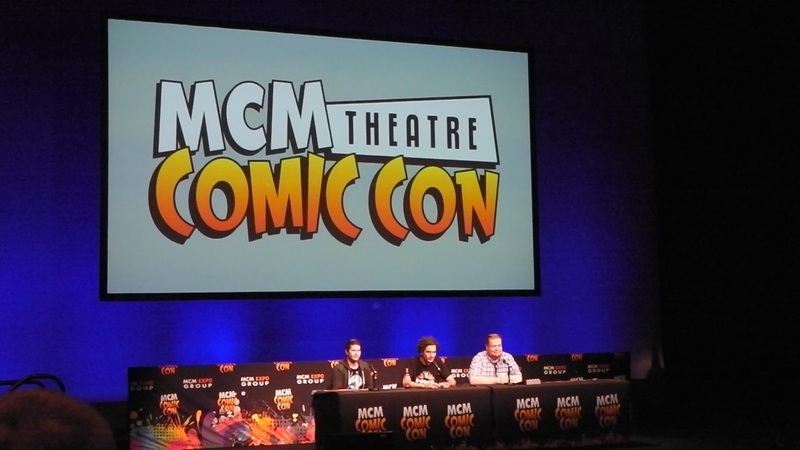 So there we have it; everything that was mentioned from the Manga UK Anime Industry Panel at the July 2014 Manchester MCM Comic Con; so does anything interest you? Either way we can expect to see more ‘exciting’ announcements at London’s MCM Comic on in October.